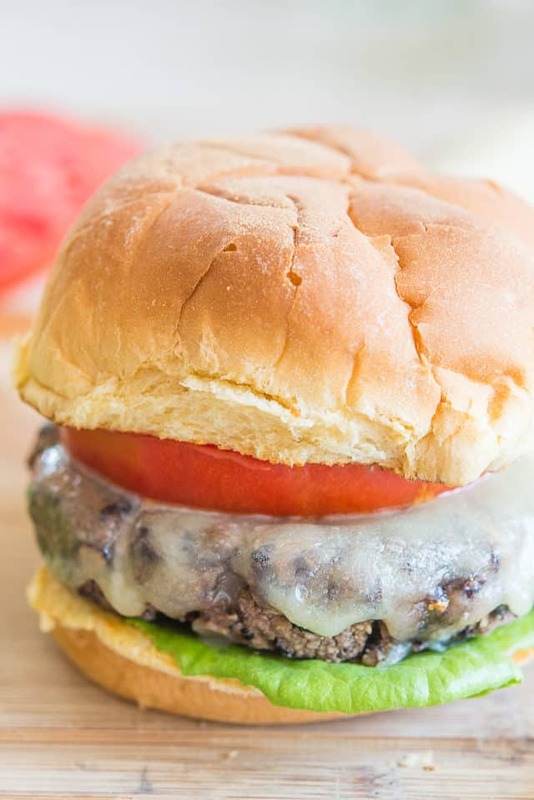 This Black Bean Burger recipe is equally delicious for vegetarians and non-vegetarians alike! It’s hearty and simple to prepare, with bold flavor and a great texture. 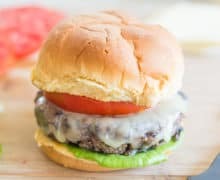 Even though a black bean burger is typically thought of as a vegetarian substitute for beef, I find them to be gloriously delicious in their own right, and I say this as someone who eats meat. 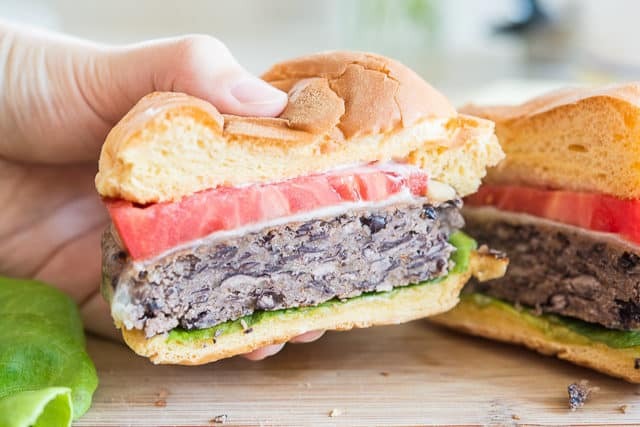 Homemade burgers are a staple in my kitchen, but these black bean burgers are just as much too. I get cravings for each, and I think the key is to not think of it as a substitute to beef (unless you’re explicitly avoiding meat). Rather, think of it as another delicious way to enjoy black beans. I spice the beans with ingredients like garlic powder, onion powder, cumin, and paprika to keep it relatively simple, but feel free to play with it and add other spices. You can make it spicy by adding cayenne or chipotle, or you can make it smoky by swapping in some smoked paprika. The options are endless! The nice bonus about these bean burgers is that they hold up really nicely. 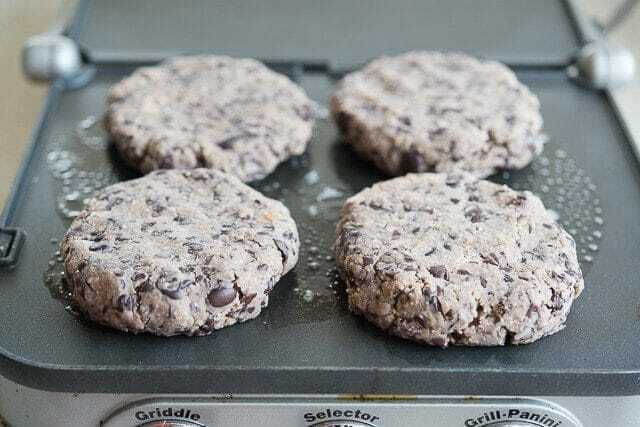 There’s just enough bread crumb and egg to hold it all together, so they’re easy to flip on the griddle, but the black bean flavor is still the star. 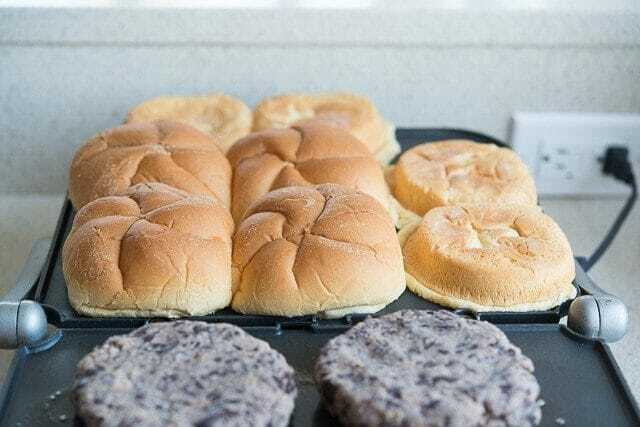 You can cook them in a skillet on the stove if you don’t have a griddle (this is the one I use), but I love that it’s a big flat surface that I can toast the buns on too! 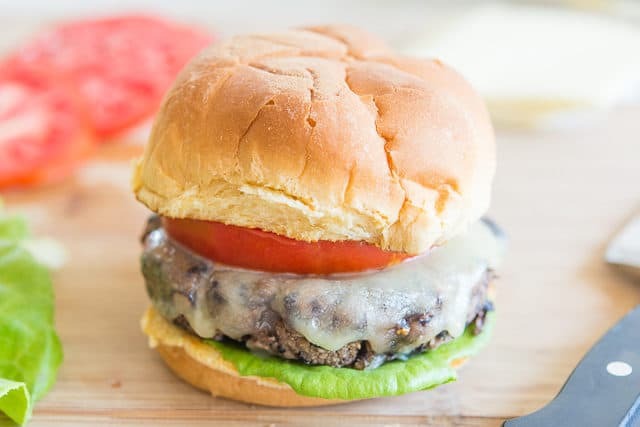 Add a slice of monterey jack cheese and layer it on a potato bun with all the fixings! For me it’s mayonnaise, lettuce, and tomato. Add some homemade Steak Fries on the side, and you’ve got a great meal! Below is the recipe, and there’s also a full video if you want to see how the burgers are made. Enjoy! These Black Bean Burgers are delicious for vegetarians and non-vegetarians alike, and are easy to prepare. 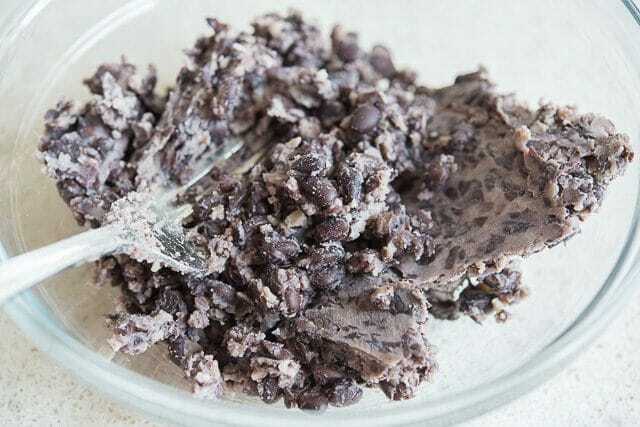 Place the black beans on a flat surface and mash them well with a fork. 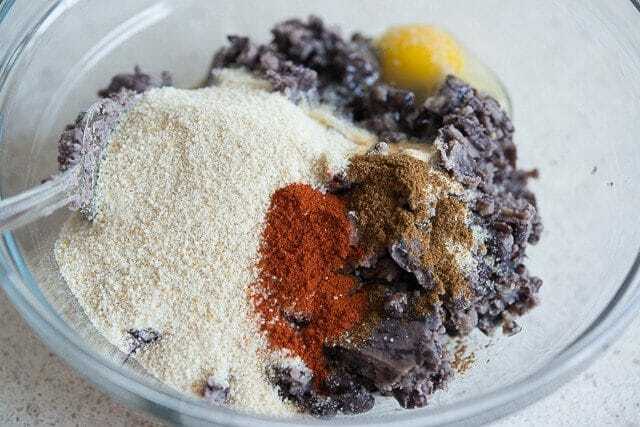 Place in a bowl and add the breadcrumbs, paprika, garlic powder, onion powder, cumin, and egg. Mix well. 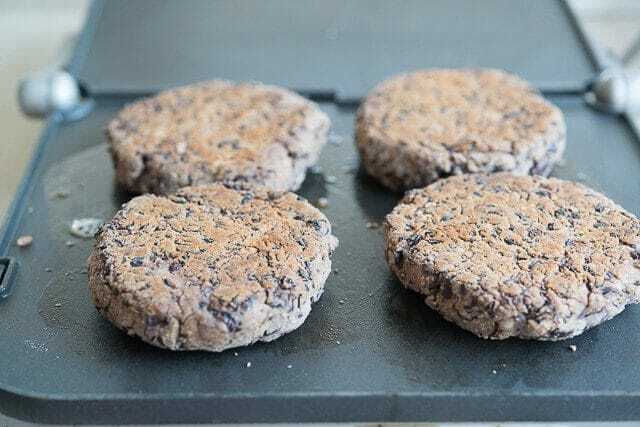 Form the black bean mixture into four patties, then grill them on a buttered or oiled griddle (or in a skillet) over medium high heat for 4-5 minutes on each side, until golden brown. Prepare the burgers as desired, with mayonnaise spread on the buns, and with lettuce, tomato, and melted cheese. Enjoy! *Buy the regular black beans, not low sodium. I intentionally don't add salt to the recipe, since the black beans in a can are usually seasoned. Post updated with photos, writing, and more tips in August 2018. Originally published August 2015. I’ve never had a black bean burger and I must say it looks delicious. Definitely will have to try this! I love the idea of adding chipotle to these. 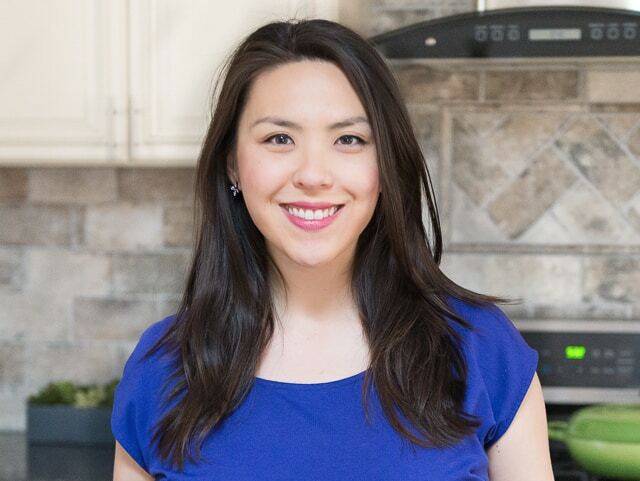 Love how healthy these are, but still hearty and delicious! Great for an alternative burger! Would these do good over a gas grill? Also, do these freeze well? We grill a lot at our house, and this would be a cheaper, healthier alternative to beef burgers.